Pokémon Crystal is a title in the Pokémon series of RPGs for the Game Boy Color. An enhanced remake of Pokémon Gold and Silver, Crystal was released December 14, 2000 in Japan and July 21, 2001 in North America. 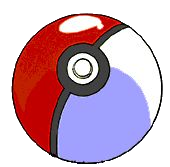 Crystal was followed by 2003’s Game Boy Advance titles Pokémon Ruby and Sapphire. Pokémon Crystal was optimized to be playable only on the Game Boy Color. Two new quests, one with Suicune and one involving the ruins of Alph. This page was last edited on 26 August 2016, at 21:38. This page has been accessed 1,493,199 times.